May 2010 :- DANA Group(UAE) adds “Profiles & Cladding Division” as another feather to it’s VALUE-ADDED Steel Products Range. | Dana Group:-A well established group of companies with interests in Steel,Oil,Retail,Healthcare & Hospitality.Manufacturer of Steel products viz. 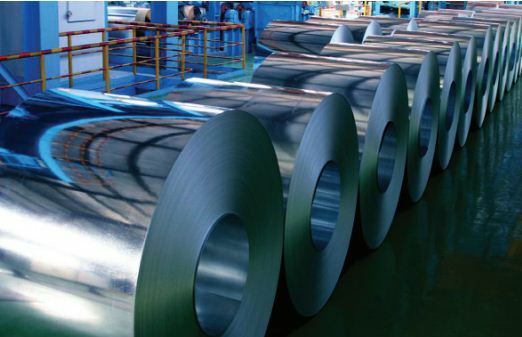 Flat Steel(Hot Rolled[hr],Cold Rolled[cr],Galvanized[gi],Kspan,PPGI,Galvalume[az], coils/sheets/slits) .Also Manufactures Various Value Added Steel Products viz electric water heaters,water coolers,water chillers,swimming pool heat pumps,cable trays,cable ladders,gi trunking,slitting/cutting of steel coils,profiles & cladding,corrugated fencing panels,roof/wall sandwich panels,decking sheets,metal profiles & Value Added Oil Products viz. Lubricants,Greases,Engine Oils.Has branch offices in Africa,India,Oman and headquarters in Dubai UAE. In the continuous endeavor to value-add steel,DANA has forward-integrated “PROFILES & CLADDING ” division into it’s diverse value-added steel products portfolio. Having installed a state-pf the art continuous sandwich panel forming line,along with ancillary machinery to produce all related accessories viz. profiled cladding sheets, secondary structural members, Wall Cladding Sheets, Roof Cladding Sheets, Curved Cladding Sheets, Flashing Sheets, Sandwich Panels, Flat Panels and Cold Store Panels and all kind of accessories.